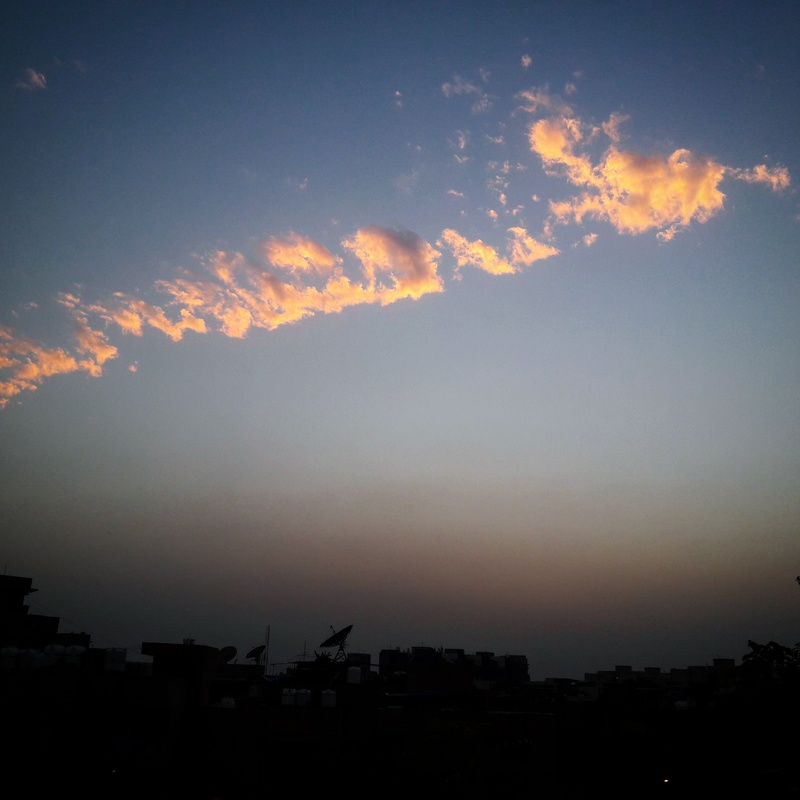 Some days ago when I was on my rooftop. My beloved rooftop I saw this in the sky. Looked like a rocket contrails to me but I soon realised it’s a tail of a big dinosaur. It looked one and one time I thought of godzilla. Oh yes it wasn’t so. It was clouds in the formation of tail. It looked awesome and my habit to capture anything goodi find captivating. So I captured it and I loved It. So I share it here.